The Profile range offers a steel frame stacking chair complete with integral linking foot. 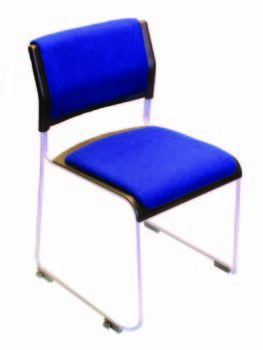 It has a black plastic seat and back with silver or chrome frame. It is available with upholstered pads and folding, sliding writing tablets. Transportation / storage trolleys are also available as part of the range.